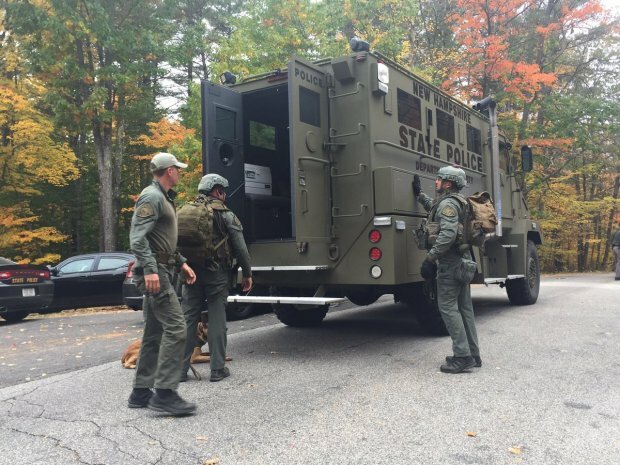 Authorities say a woman who had barricaded herself inside a New Hampshire home on Tuesday morning is in police custody. Police arrived at the scene on North Road in Candia at 8:20 a.m. for a report of a "despondent female." When officers talked with the woman's husband on the front lawn, he told them that she was inside the home with a handgun and their 12-year-old daughter, refusing to come out. That's when police said they heard a lone gunshot come from inside the house. Police then called in crisis negotiators and a perimeter was established around the home. 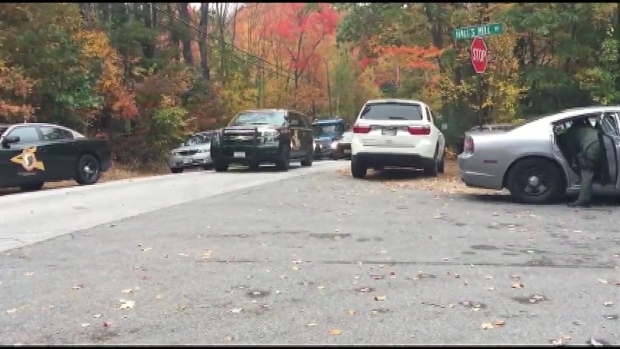 At least 15 New Hampshire State Police cruisers were on scene in Candia, New Hampshire. No word on what the incident is. "It was a dangerous situation they used extreme caution and did an excellent job," New Hampshire State Police Capt. Gregory Ferry said. Police said within an hour, the woman's daughter was able to escape from the home. "She was able to exit a door from the residence and run from the residence," Ferry said. "At that point in time, our officers were on scene and able to guide her to a safe place." The woman's sister-in-law told necn that for hours, her family was terrified that something bad was going to happen to their niece. “It was like, 'Phew - thank you,'” said Sherri Roveto. It was a sigh of relief when Roveto learned that her family members were alive. She was watching the news, as a dramatic scene unfolded outside the home where her brother lives with his family. “Oh my God, I’m like, I just got to get there,” Roveto said through tears. At least 15 state police cruisers were seen at the scene on Tuesday, and a SWAT team had also geared up. "Our crisis negotiation team and as part of protocol they work at gaining communication or maintaining communication," Ferry said. By 11:30 a.m., the woman, later identified as Deborah Deslongchamps, 45, came out of the house on her own. “No child deserves to go through what this little girl is going through right now,” said Deslongchamps' cousin, Traci Innie of Manchester. Roveto said her sister-in-law has never been diagnosed with mental illness, but recently she’s seemed off. “We’ve all seen signs of strange talk coming out of her some things didn’t always add up,” Roveto explained. Deslongchamps was taken into custody and is undergoing a mental and physical evaluation. Police said she faces several charges, including reckless conduct, false imprisonment, and endangering the welfare of a child.